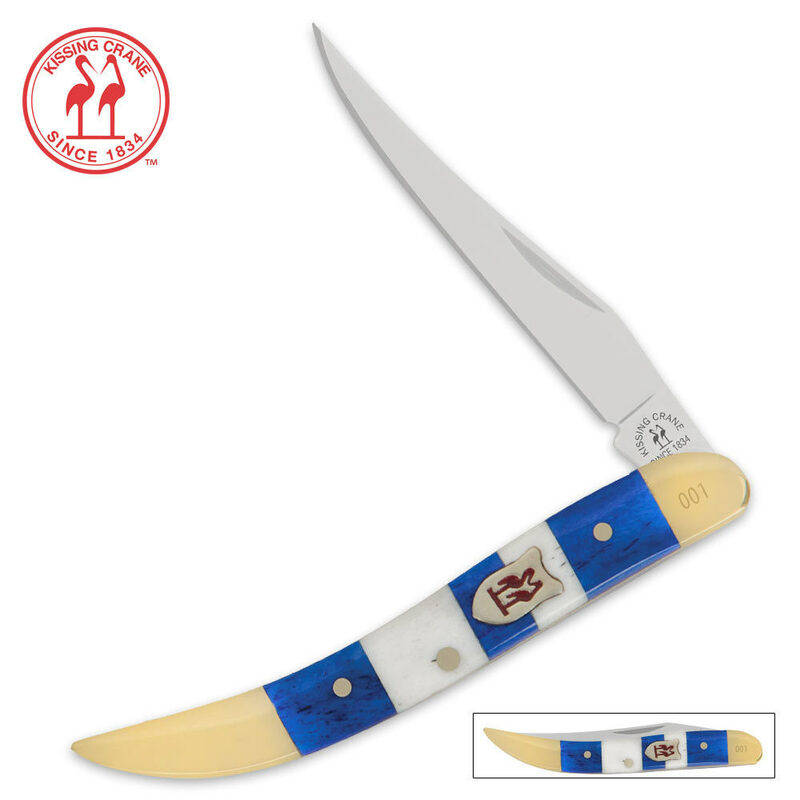 Kissing Crane Blue And White Bone Toothpick Pocket Knife | BUDK.com - Knives & Swords At The Lowest Prices! If it’s time to update your pocket knife or you simply want a good looking new folder, then look no further than this classic Toothpick from Kissing Crane. Very beautiful knife, blade locks into place nicely and comes sharper than a butter knife at least though I don't really care about that. The craftsmanship of this knife was not exactly perfect, rough edges, a few chips, seams that don't quite match up but you have to look pretty close. Also the blue part was a bit darker than the picture showed but I don't care just figured I'd throw that in there. A little rough but heck it was $16 not like I was expecting a $50 Case. Though I must say all flaws I found were entirely cosmetic. Good knife.